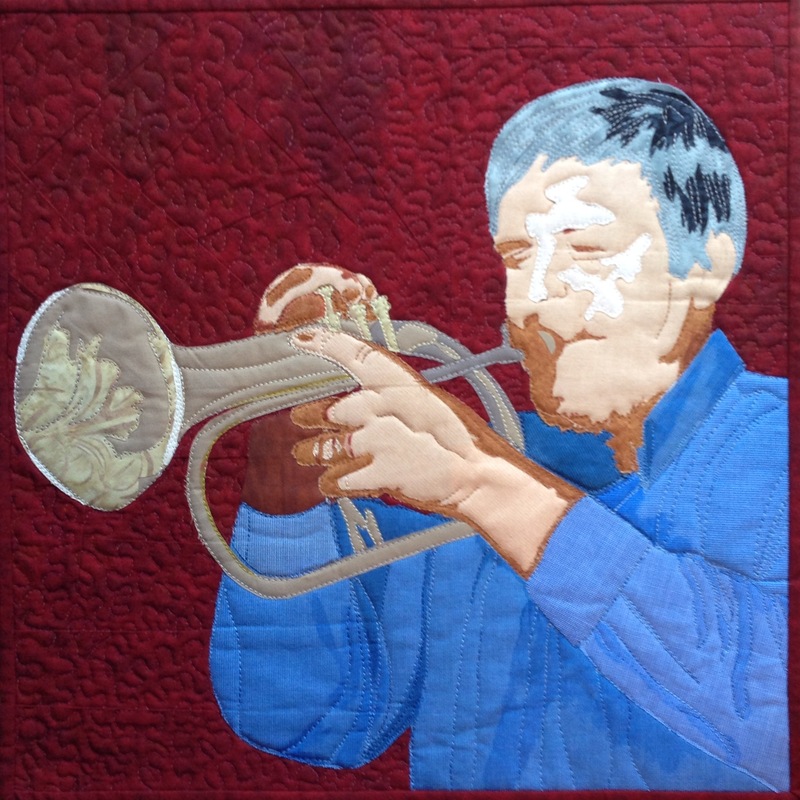 An fiber artist using quilting to fulfill my desire and need to create. My sister, Claudia, loves elephants the way I love giraffes. I would have to say her house is as full of elephants as mine is of giraffes. So a couple years ago I came across a pattern of four intertwined elephants. They look like they are following one another around a pole. 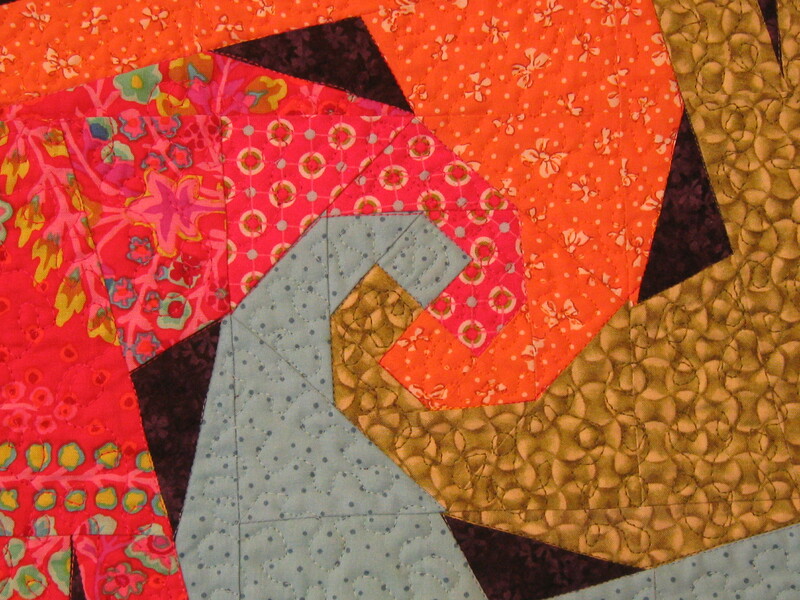 The beginning of the block is actually, in the quilters world, called a snails trail. 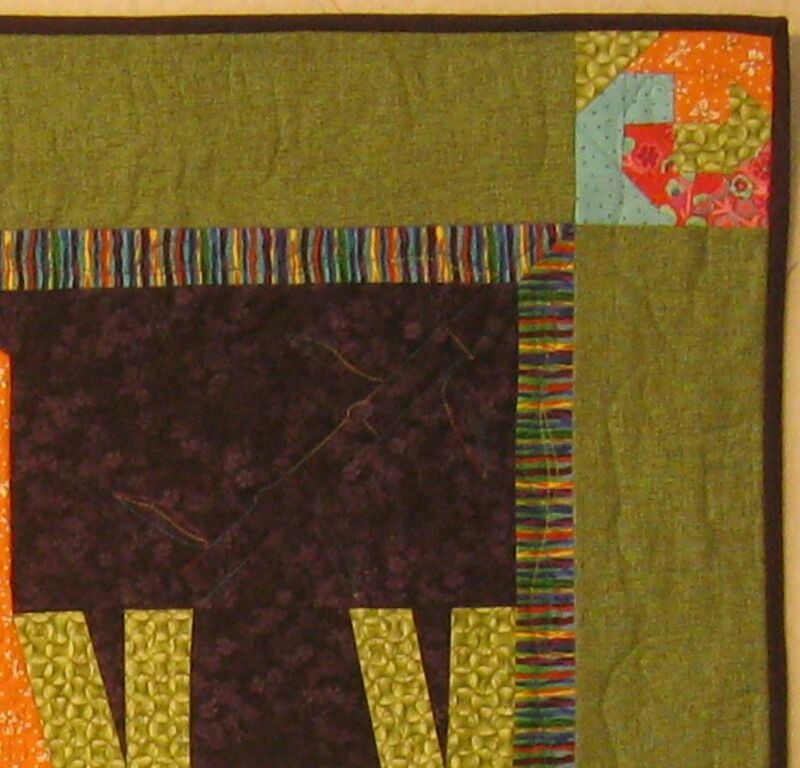 From the very center of four 1 1/2″ squares it continues on with the beginning of the trunks. Can you see the elephants heads beginning to take shape? The pink one is a little more visible than the other one. 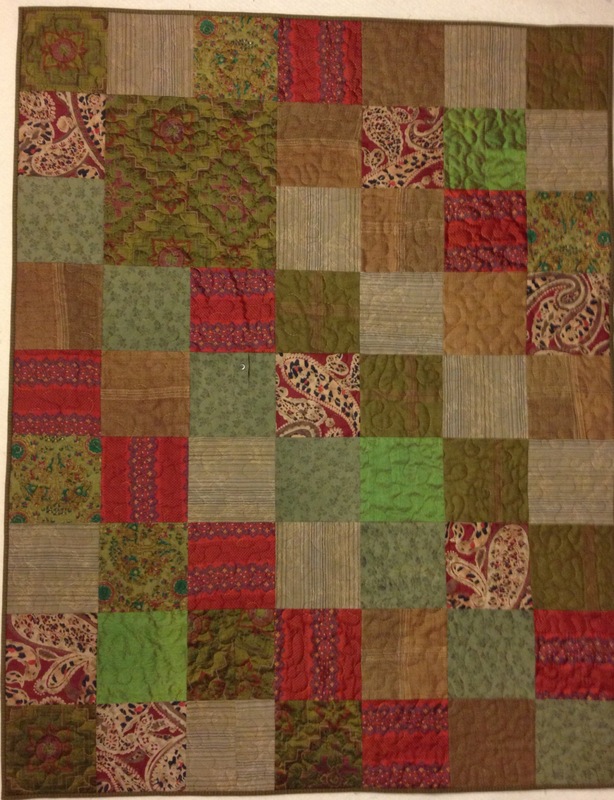 So here is the whole quilt. It actually only measures about 27″ x 27″ and she has it proudly on display in her living room. She tells me it’s her favorite, but then, so I am (her favorite). But that’s easy to say since I’m her only sister. 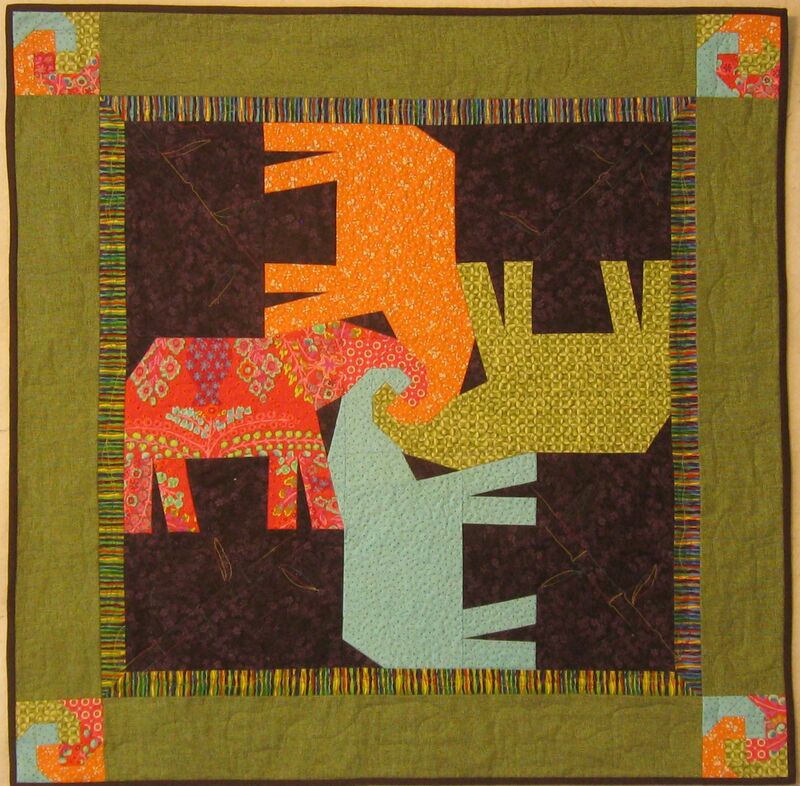 I had some fun quilting elephants in the borders. 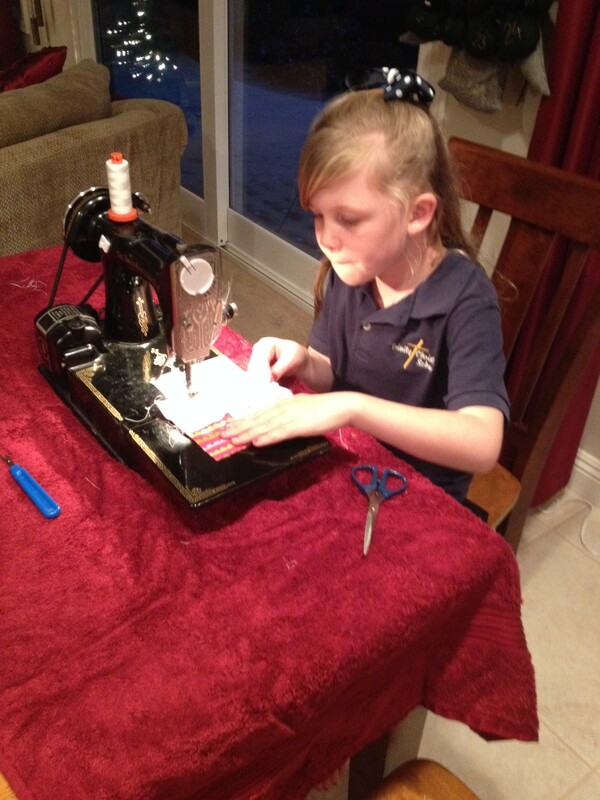 You have to look closely to see them since I used the same color thread as the fabric. 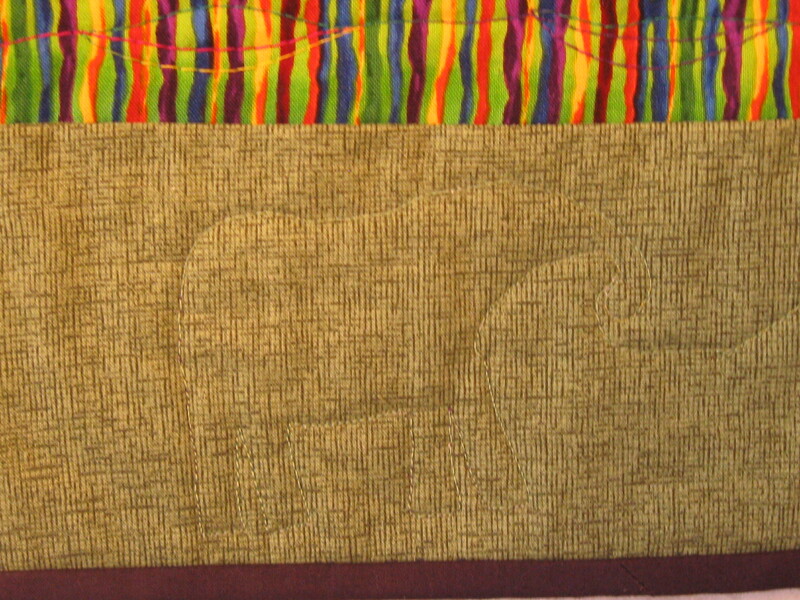 The corner blocks are a repeat of the beginning trunks. 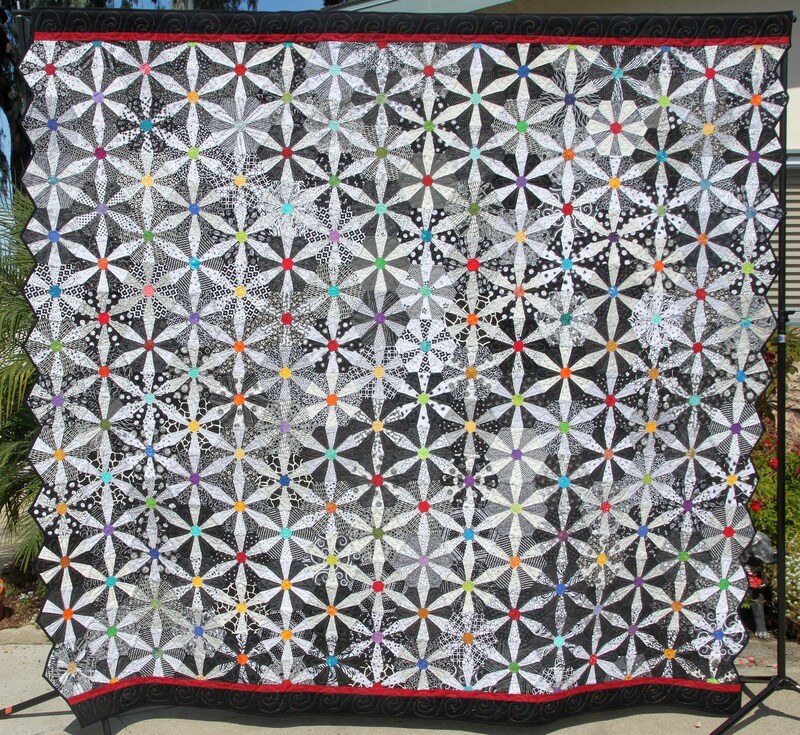 Road to California is a Quilters’ Conference and Showcase of over 300 judged quilts from all over the United States. It is held in Ontario, California every year at the end of January. 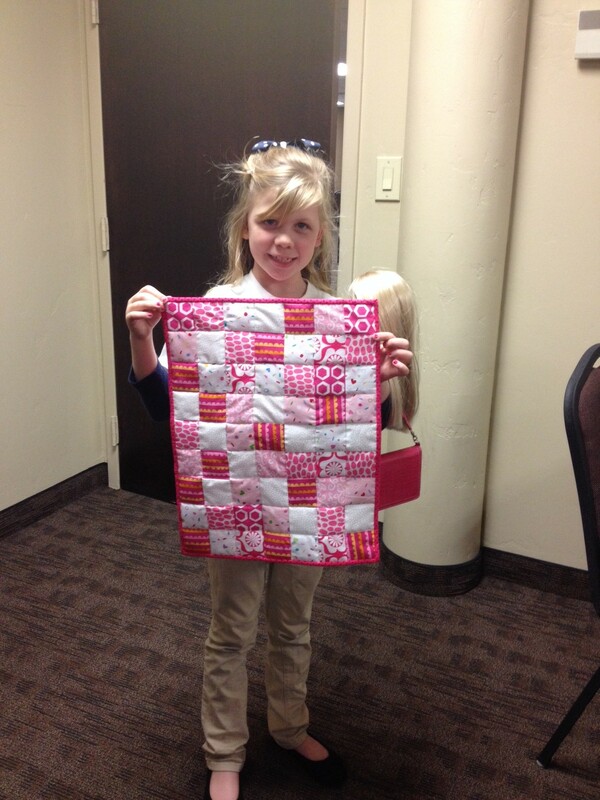 They have amazing quilt classes taught by the best teachers from all over the nation as well. 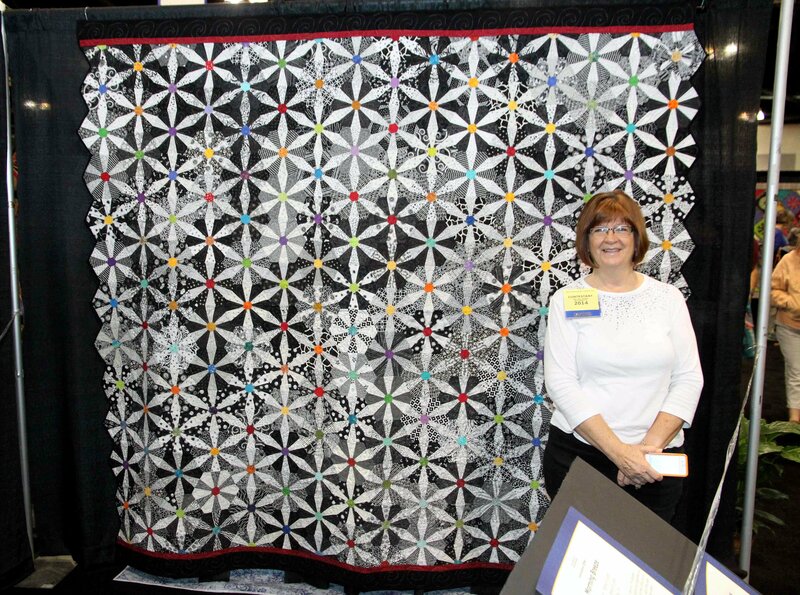 Here I am standing in front of the quilt on display at the show. So, Aaron and Vanessa will get the quilt next week and I promise not to take it back again. 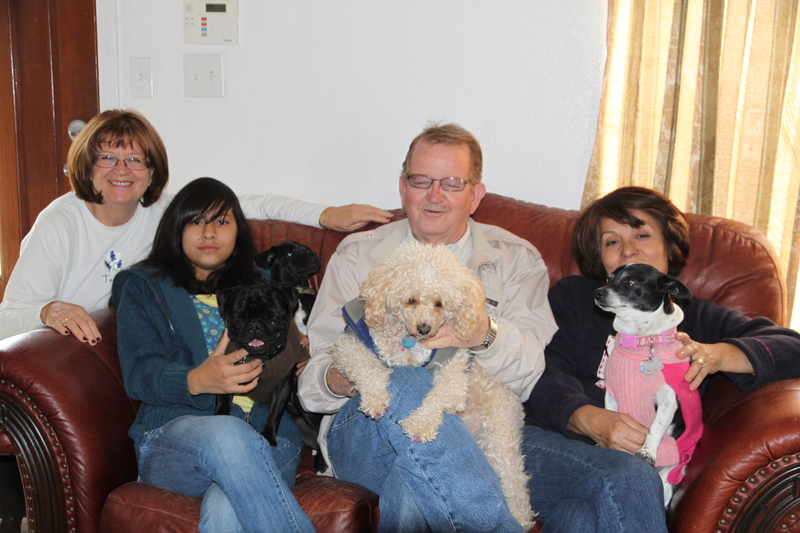 In 2010 Rich and I drove over 750 miles to visit my brother Danny and his wife Noemi, and daughter Kareli. We wanted to spend Thanksgiving with them and I thought it would be fun to drive out there. It was a nice long drive and we saw some amazing sunsets in the desert. 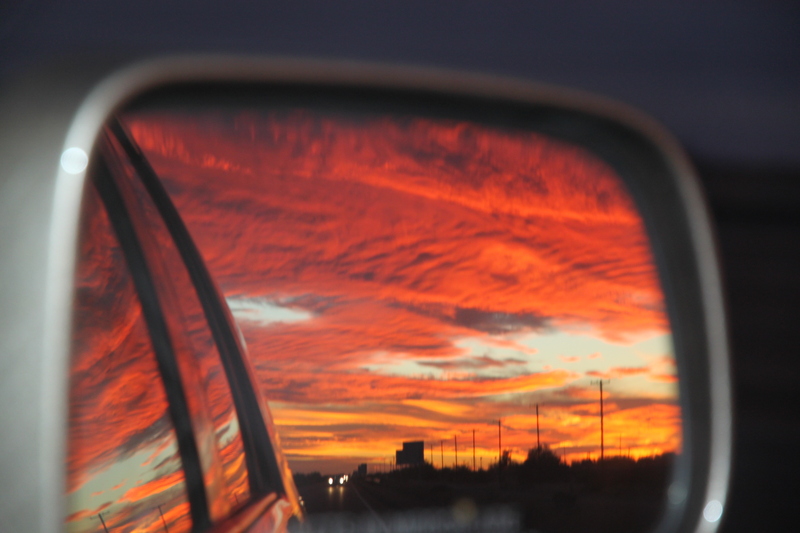 This one I took a picture of the side mirror with the reflection of the amazing sunset. I probably took 25 picturs of the sunset, and yes they all look pretty much this same. This one really is my favorite. My brother and his wife and daughter have four dogs. Yes, you heard me correctly, four dogs. If it was up to Kareli they would have more. This girl loves dogs. This is the whole gang including the four dogs, plus yours truly on the left. Tigger is the one sitting on Kareli’s lap and I really just fell in love with this dog. I would have brought him home but no one would let me. But I did manage to get some close up pictures of him. From one of those pictures I decided to make a fabric quilt postcard. 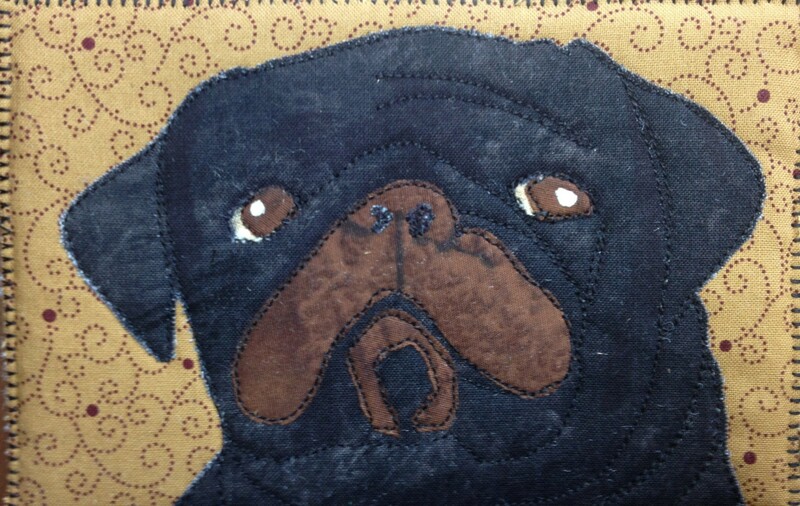 There was over 1500 donated pet-themed fabric postcards sold. 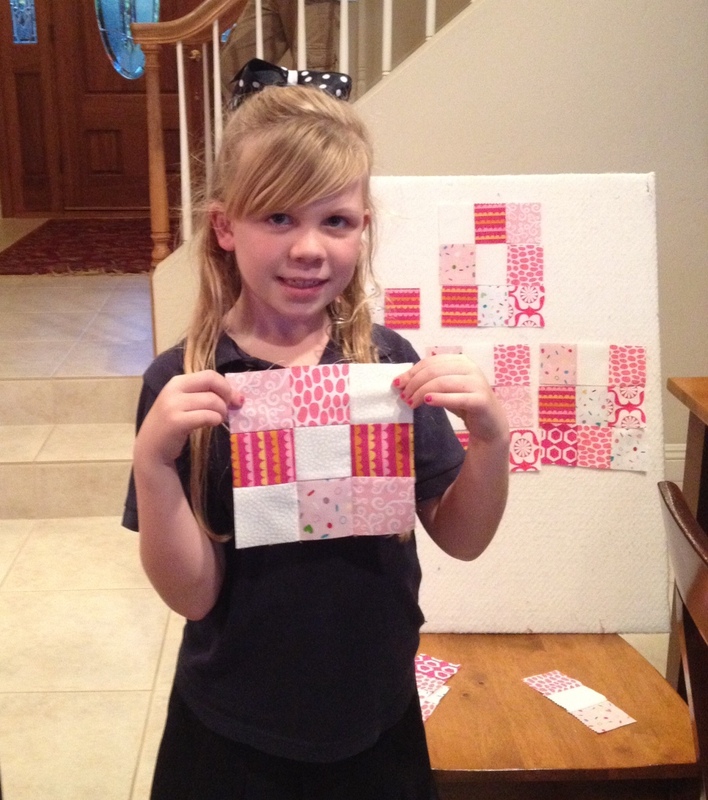 Here is the postcard which I donated to the Houston International Quilt Festival that was held this past year. All proceeds benefited the Friends For Life, a no-kill animal shelter in Houston. I’m thinking about making another one of him, but maybe a little bit larger scale. He was looking at me thinking I was going to give him a doggie bisket. Yes, I did give him one. What a sweetie.